As anyone with the internet knows by now, Konami recently put the rumors to rest about the status of Silent Hills; they confirmed it was officially cancelled. This was (in the realm of video games) colossally disappointing. P.T. (short for “Playable Teaser” which was, itself, the reveal for Silent Hills), was widely received as one of the best horror gaming experiences. Ever. The hype was high for more information, any information, until recently when things took a turn for the worse. There was (and still is) much drama and rumor surrounding the status of Hideo Kojima within the Konami structure. They state he is on board until the September release of Metal Gear Solid V: The Phantom Pain, however they have been playing hide and seek with his name on the box art of various Metal Gear games. No one is talking. It doesn’t instill a lot of faith for the Konami fan. It was first announced that P.T. would be removed from the PlayStation Store, then days later came the confirmation that Silent Hills was officially cancelled. Konami made sure to emphasize that they were still committed to developing games within the Silent Hill franchise, just not the one everyone had been so jazzed about. Whatever Konami’s issues with Kojima are, this was a shot in the leg. The public response echoed so much disappointment that a petition was created and, as of this writing, it has over 115,000 supporters. Within the petition it implores Konami to reconsider developing the title. Now this is what I have concern with: if Konami were to reconsider, it seems incredibly unlikely, even if they got Guillermo Del Toro and Norman Reedus back on board, that they would ever get Kojima, thus altering the creative pedigree of the project. It also seems unlikely that, after putting out an official cancellation, they would reinstate the project for any reason. They had to be acutely aware of the overwhelmingly positive reception of P.T. and yet chose to cancel it anyway seemingly due to the internal turmoil. I do wonder if Kojima might start his own project for a similar horror game, and invite Del Toro and Reedus back. Why wouldn’t this work? 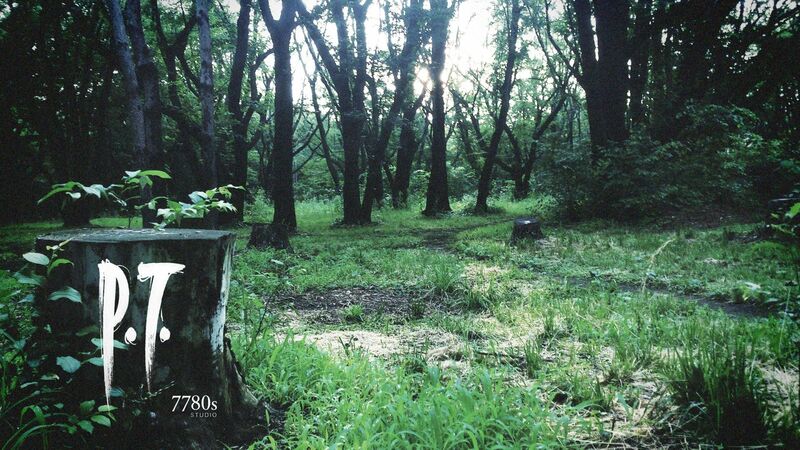 It doesn’t have to be a Silent Hill title to be a great game, and P.T. didn’t actually have anything to do with Silent Hill lore (so far as I could tell). Would this not be the ideal prospect? The original team creating a horror game without the potential restrictions of Konami? I highly doubt they would be wanting for a publisher, especially after the additional waves of publicity and the public response the cancellation generated. Or perhaps this is just my pipe dream. I love horror movies, but they don’t scare me. Horror games are far more intense, likely because they force you, the player, into the situation as a participant as opposed to an observer. I have always had some amount of hesitancy about playing horror games due to this, however I couldn’t not play P.T. It was an entirely uncomfortable, tense, and unnerving experience. So, even if it is misguided, I will hold out hope that Kojima will head up a horror game on his own terms. Since he has decided to step away from the Metal Gear franchise after The Phantom Pain, there is no reason he may not choose to pursue a horror-based experience after the success of P.T. I keep my fingers crossed that he does. Has anyone out there signed the petition? Do you have hope that Kojima will head up a horror game of his own devising? Or do you think Kojima and horror will be mutually exclusive after this fiasco? Let’s discuss. I could see Kojima making his own horror game. i could, too. i just hope he will. Anyway, I thought the high quality playable teaser as a way to announce a much anticipated game was refreshing and incredibly creative despite my attitude towards the actual product. I’m sad for horror and Silent Hill fans that won’t get the game they were teased with. And as a fan of the industry in general, I can’t help but be fascinated by the whole Kojima/Konami saga. Loved the post! So well written! not weird at all! though i do love horror in all forms, books included. which ones are you drawn to? As we discussed before, I am really drawn to the works of HP Lovecraft although I still haven’t read any so I have no real basis for expectation. There’s just an excited anticipation, like I know I’m going to love it. I’ve got a few pages left in the fantasy novel I’m reading before I dive in. As my least favorite genre I just don’t consume much horror. I really don’t care for jump scares. You nailed it about the difference that games bring, the way it puts you in the situation really adds to the suspense. I remember playing an older PC game called Amber that I was interested in because I do love me some point and click adventures! To me it was a very unnerving and suspenseful experience, so much so that I could only play it for like 30 minutes at a time. And never in the dark. Now that I think about it I’m probably more okay with horror than I realized, but only the more supernatural/occult type stuff. You know, that dark evil from below kind of thing? That’s what often also bleeds into the fantasy genre so well anyway. I certainly don’t care for the slasher stuff, or the purely gore-focused approach. i agree with you; i think jump scares are cheap. At this point, I’d much prefer Kojima to pick up his own projects and run with them. Konami seems to be much more focused on their gambling and mobile industries, and while that’s a little sad for Konami’s more famous franchises, I gotta respect that. i’m with you on this. i just hope if konami really does puss out on their staple franchises that they sell them off to decent developers. That would be really nice. I can definitely agree with that. P.T. is remarkable. I agree it’s unlikely, but I share your pipe dream.